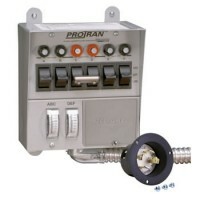 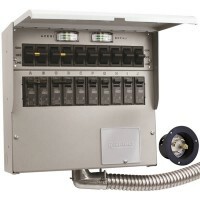 Model 30216A manual transfer switch by Reliance controls. 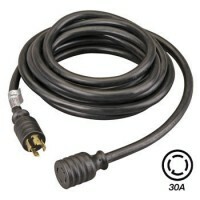 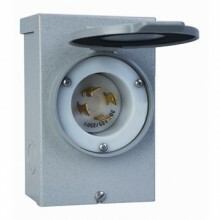 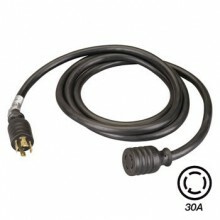 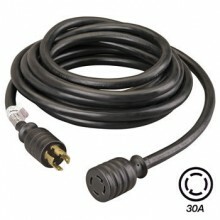 This switch is designed for a 30 amp 240V hookup from your generator. 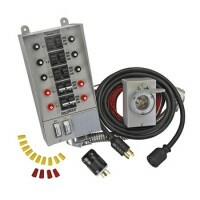 You can run (6 - 120V circuits) or (4 - 120V circuits and 1 - 240V circuit.) The circuits are prewired with 12 awg wire so you can run 15 amp or 20 amp circuits within your main panel. 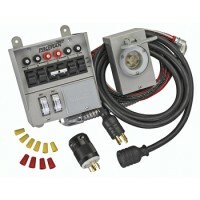 This transfer switch is for indoor installation.